Who says that selfie sticks were last year's big thing? 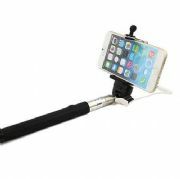 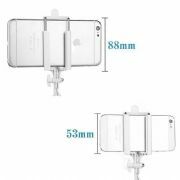 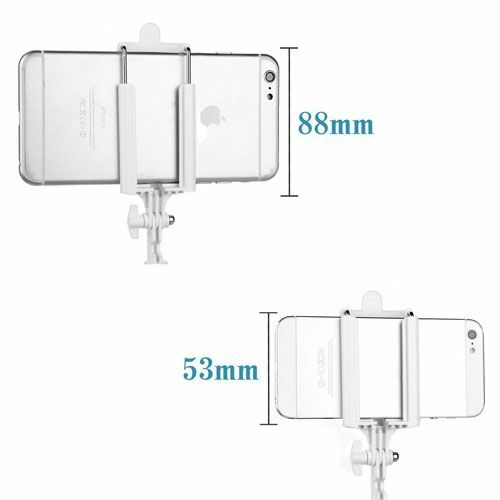 With this updated selfie stick for the iPhone, Samsung or other mobile devices, you will get all of the expected benefits and more. 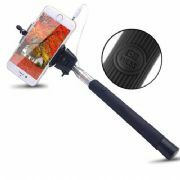 The monopod is made of steel and can be easily carried everywhere you go. 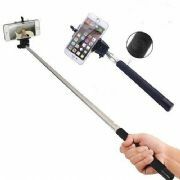 Plus the stick works without using bluetooth or wi-fi and needs no batteries, making it ideal for travelling. 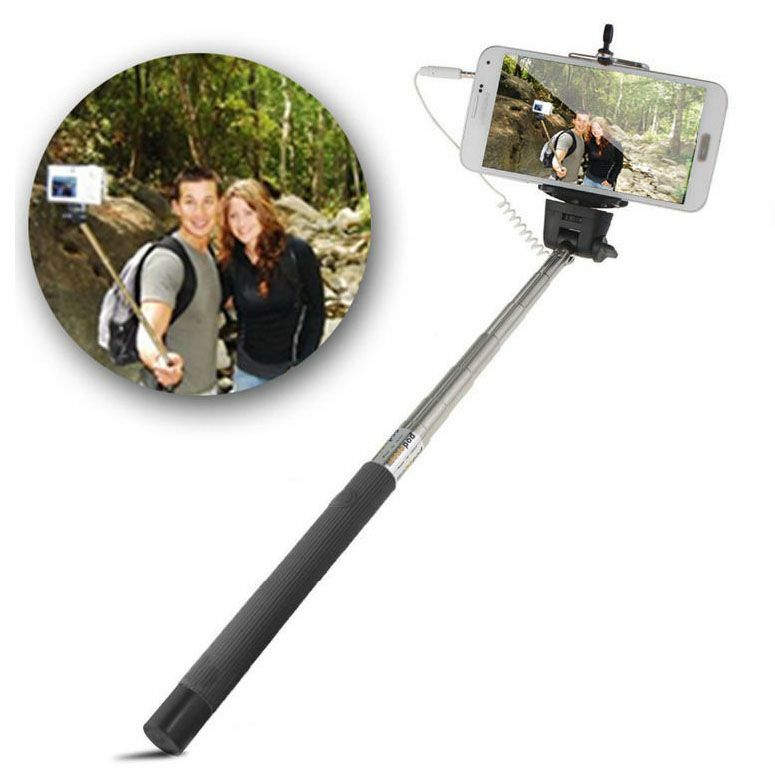 Your photos can be taken using the stick (no remotes to forget!) and just needs to be attached to the stick via your headphone port.